Nicholas Hoult calls me right on the dot at 9pm. Punctuality from a Hollywood star is something you don’t expect. And unlike many other celebrity interviews I’ve done, Hoult isn’t accompanied by his agent or minder. It’s just myself and his British accent. He tells me he’s just wrapped up filming for The Great, a Hulu exclusive drama series that details Catherine the Great’s rise to power in the 1700s. In the movie, Hoult plays Catherine’s husband Peter, who was Emperor of Russia for six months before being overthrown by his wife. It’s not new territory for the British actor. Prior to putting on a wig for Peter, Hoult had also played the statesman Robert Harley in the historical period comedy-drama film The Favourite. “I put on a wig for that one too, and it was surprisingly quite comfortable even though it was massive. The only problem was that it was full of hairspray and there were many candles on set; they wanted to light the movie naturally. So I was a bit of a walking fire hazard,” says Hoult, chuckling down the line. The Favourite has won a raft of awards, including a best actress Oscar, Golden Globe, Bafta and Volpi Cup for Olivia Colman, a further six BAFTAs, and a Grand Jury Prize at the 2018 Venice International Film Festival, as well as garnering five other Golden Globe nominations and a place on the American Film Institute’s list of the top 10 films of 2018. But Hoult has never been the sort to chase awards or to choose a role based on the probability of being on stage to deliver a heartfelt thank-you speech. It’s an attitude that was wrought by close to two decades of being in the industry. He was a child actor who made his screen debut at the age of seven in a film titled Intimate Relations. “You can’t modify your experience you had on a film based on the end result,” says Hoult. In this case, the actor is referring to both awards and box-office results. He’s starred in numerous critically acclaimed and commercially successful films, but he’s also appeared in a couple of flops. Hoult is playing a different sort of role these days after his partner, model Bryana Holly, gave birth last April. The relatively private couple haven’t yet put up a picture of their child on social media but, by God, Hoult is sorely missing his sleep. Becoming a dad has also rejuvenated him on the creative front, ironically because of the lack of time. When he used to readily commit to jobs that would take him away for months on end, Hoult has now dialled it back. He doesn’t want to miss any milestones in his child’s life. 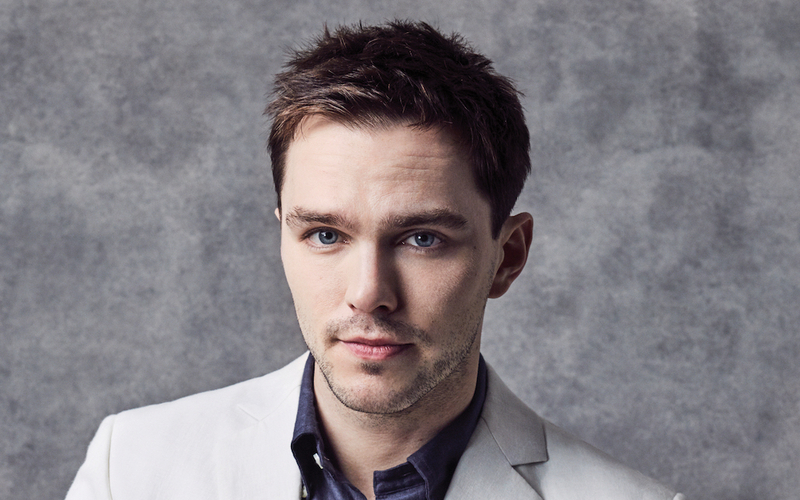 Hoult’s solution was to return to television, where he first forged his career in the early noughties as a young boy. Besides The Great, Hoult is also starring in Crossing Swords, yet another historical period TV series, and Watership Down, which as a mini-series pays more attention to detail than the 1978 animated movie could. It’s about a colony of rabbits defending their new home. Yes, you read that right. Rabbits. Once again, not entirely new territory for Hoult, who’s most famously recognised as the mutant creature Beast in the X-Men film franchise. Hoult will be donning his blue make-up once again in the middle of the year, when he reprises his role for the fifth time in Dark Phoenix. 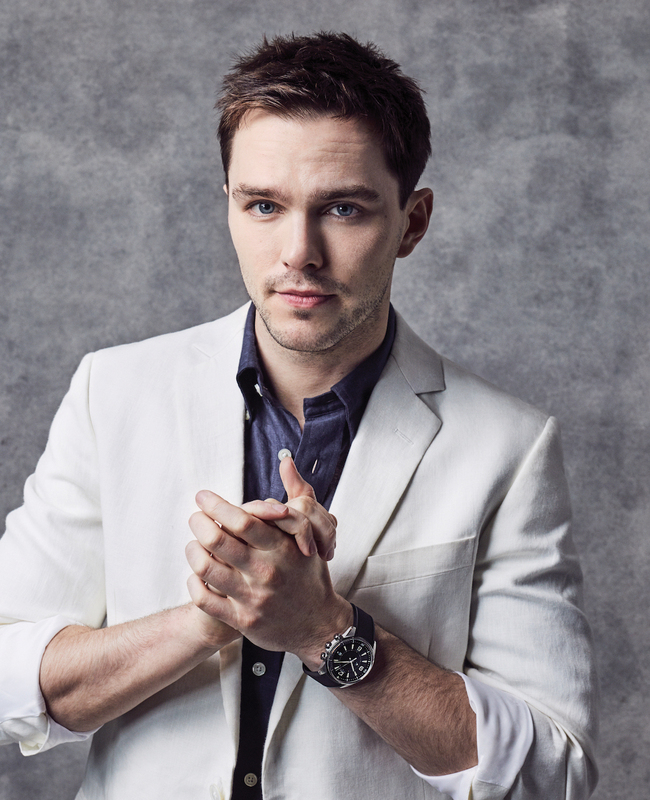 Hoult doesn’t have to worry about being typecast, but he reveals that for a period of time he grew jaded with acting. As with any other job, the prospect of burnout is very real for actors, especially if you work as hard as Hoult did. Fifty-three acting credits across film and television in a span of two decades. That’s quite a lot. “That’s why I try to do different characters and different genres of films. I try to never do the same thing again,” Hoult says. The actor also has the good fortune of not being plagued with the level of debilitating fame that has scarred some child actors. Think Macaulay Culkin and Lindsay Lohan, who both descended into a spiral of drug and alcohol abuse after enjoying early success in their careers. 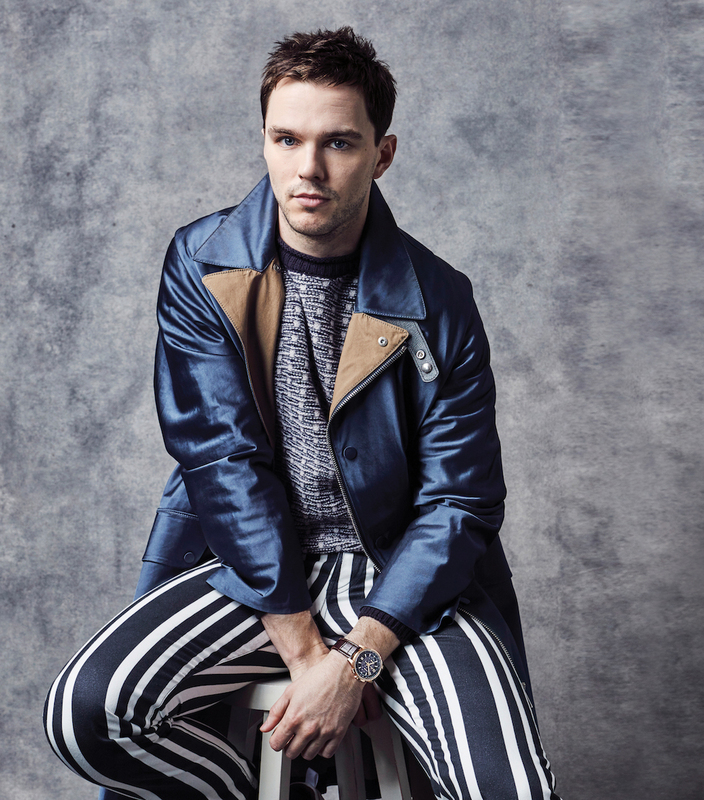 Hoult credits his childhood for keeping him grounded. He grew up around women — his mother and sisters. His father was a pilot who was away from home much of the time while his older brother left home when he was young. “When I look back at my childhood, I feel lucky. You don’t typically know of it when you’re a kid, but then, when you become a parent, you suddenly realise all the sacrifice, time and energy your parents put in for you,” says Hoult. The concept of masculinity intrigues Hoult, especially today when the idea of the modern man is constantly in flux. Hoult raised money for a charity last year called CALM, which raises the alarm about male suicide and offers support to men who feel they’ve reached the end of the rope. “The old idea of masculinity is that you’re supposed to be strong, silent and stoic, but there’s this lovely transition now where men can talk about their feelings,” says Hoult. “I don’t think masculinity has to be a certain thing. 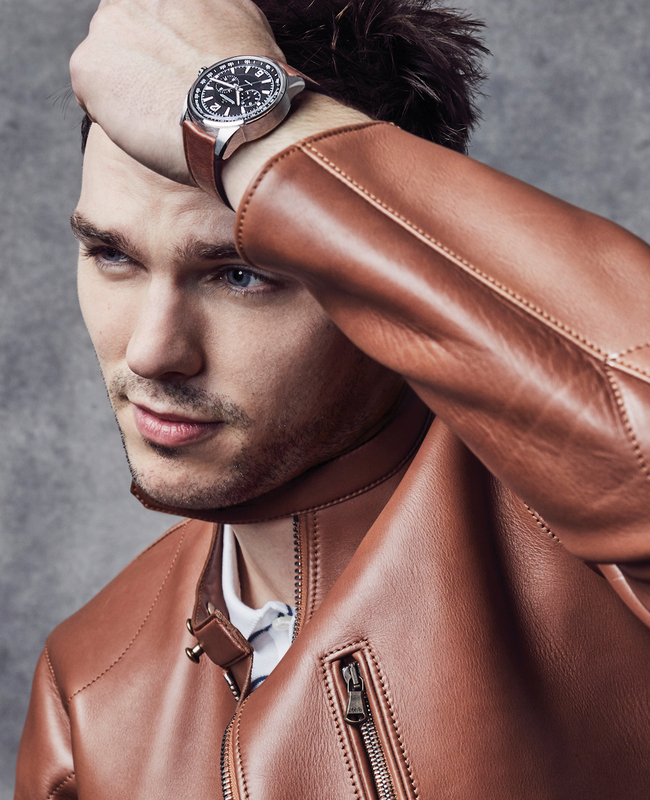 It can be whatever it wants to be.” In some ways, it’s similar to Hoult’s approach to acting, a chameleonic process where Hoult is game to try on any role without being encumbered by expectations. You could say Hoult is the kind of actor Hollywood needs right now.